(Newser) – A California teacher is behind bars with bail set at $100,000 after she allegedly followed through on what students thought was a teasing offer of "free haircuts." 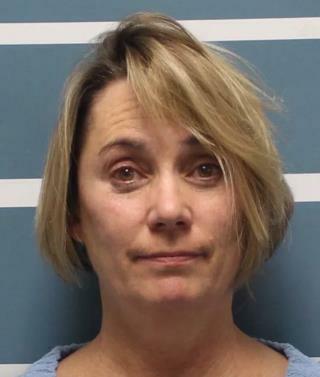 Police were called to Visalia's University Preparatory High School on Wednesday in response to an Instagram video that appeared to show science teacher Margaret Gieszinger using scissors to chop off a student's hair during a first-period chemistry class. Hair flew amid the teacher's loud rendition of "The Star-Spangled Banner," per the Visalia Times-Delta, which adds Gieszinger stopped the male student as he tried to get away. "You're not done," she allegedly said, and continued cutting. Gieszinger then was said to have grabbed the hair of a female student before kids screamed and ran for the classroom door. Arm teachers what will go wrong? The little sh*ts probably drove her insane.